“Sometimes dead is better” – could be the most literal tagline for a film in the history of cinema. Pet Sematary is the second adaptation of the 1983 novel of the same name by Stephen King, after the 1989 film. Directed by Kevin Kölsch and Dennis Widmyer, the film stars Jason Clarke, Amy Seimetz, Jeté Laurence and John Lithgow in a supernatural horror about a family that discovers a graveyard behind their home and bizarre things begin to happen. Spoilers after the trailer. Beneath its foundation, there are a few things that Pet Sematary does well in its attempt to create a captivating thriller. The film’s biggest strength is in its ambience. The movie has an airy feel that compliments the suspenseful moments. Effective use of angles and wide shots gives the movie an airy vibe, combined with its scoring, Pet Sematary has moments where it’s actually thrilling. Like the image above, the film has a constant dreary look to it which is a visual tool for the feeling of death that haunts the film. The Creed family has a new home that is located on an ancient burial Indian ground and the filmmaking style adds to its narrative. The star of the film is this cat that’s pictured above. Named after Winston Churchill, Church is the Creed’s family pet that dies and is resurrected with a sinister personality. 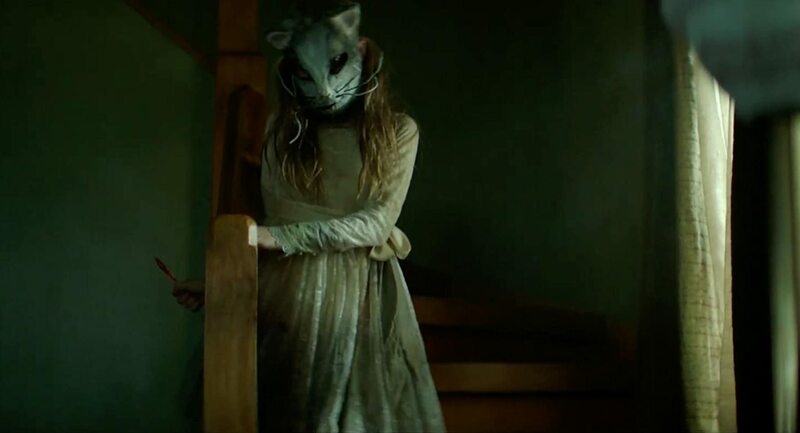 Louis Creed (Jason Clarke), the patriarch of the Creed family, buries Church which causes Church’s resurrection as an evil demon crazed cat. Church attacks the family and is clawing at everything within sight. The ferocious feline is the second cat to breakout this year. The bond between the family members feels authentic. A major theme is the idea of how to handle death and early on Ellie Creed (Jeté Laurence) and her parents have an impromptu conversation about life and death. This is one of the few moments in the film that actually feels heartfelt and natural. The writing in this movie is questionable at best. For this movie to be based on a best-selling novel and to be this underwhelming is a shame. 2017’s It might be the best adaptation of a Stephen King novel within the past decade and Pet Sematary drops the ball. The worst part about this movie is that the characters are severely underdeveloped. The film is only 101 minutes long but there are a lot of slow moments where nothing is happening to advance the story. There is an interesting backstory about Rachel Creed (Amy Seimetz) that just gets thrown to the side. The movie decides to halfway attempt to explain her motivations throughout the film. 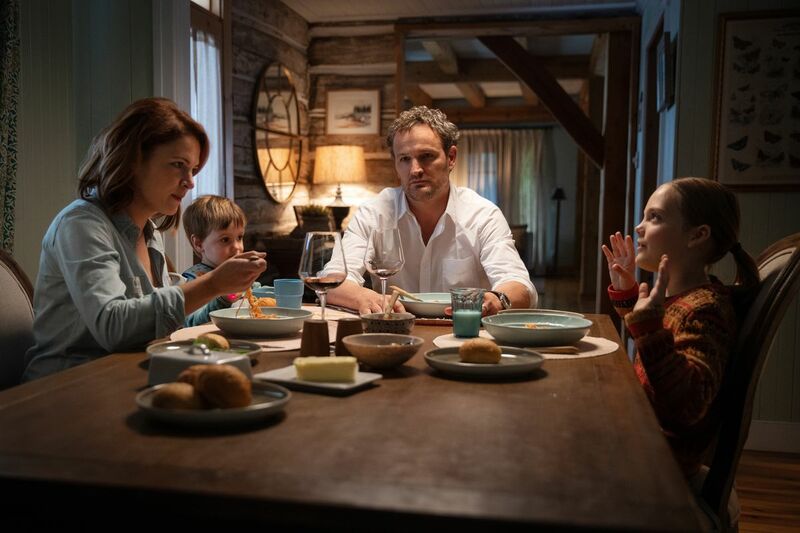 Jason Clarke’s face in the photo above is a mood when watching this film. The writers made his character make the most idiotic, stereotypical horror movie cliche decision and it’s annoying to watch. Horror movies are at their best when they’re self-aware or the characters aren’t stupid but Pet Sematary is a film that leads to more facepalms than scares. Jeff Buhler is a screenwriter for this film, and similar to an early release this year that was written by him, this movie is uneven from the cradle to its rise out of the grave. As iconic of author that Stephen King is, his work deserves better adaptations than this, and for a rated-R film, Pet Sematary should’ve pushed the edge a little more. There are moments where the filmmakers decide to take risks and not recreate its source material, but that’s far and few between. The acting was fine but nothing stood out. John Lithgow did his best Herschel from The Walking Dead impression, if we’re being honest. The child actors could’ve been better as well. Jason Clarke and Amy Seimetz characters made the most idiotic decisions, especially Jason Clarke’s Louis Creed. I would recommend watching this one on a streaming service at home because sometimes dead is better and Paramount could’ve left it in the grave. 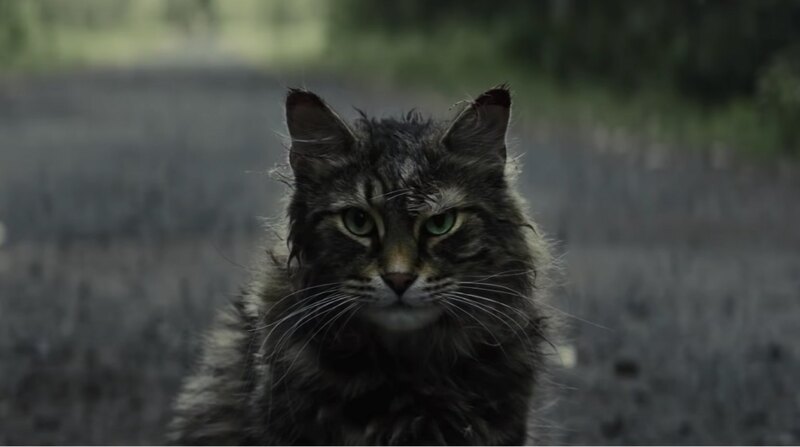 Pet Sematary was released in theaters April 5, 2019.